Leeds was the first university in the UK to offer architectural engineering degrees some 50 years ago. The Architectural Engineering course is truly interdisciplinary, designed to produce engineers who can design buildings by integrating the principles and practice of architecture, building physics and structural engineering. You’ll work on a series of studio-based building design projects, many of which will be undertaken in our new studio spaces. Not only will you put into practice what you have learned in lectures, laboratory classes and tutorials, but you will also build scale models and develop graphical presentation and computer modelling skills using industry standard software. As with all the School’s degrees, Architectural Engineering is accredited by the Joint Board of Moderators, which will help you to gain chartered engineer status after graduation. In addition to the design studio space, you’ll also have access to excellent laboratory facilities as well as extensive library facilities and computing equipment, including industry standard software such as Revit (Building Information Modelling), IES (dynamic thermal modelling) and Robot (structural analysis). The laboratory facilities, which are among the best in the UK, include specialist facilities for structures, materials, public health engineering, building services and geotechnics. The BEng course is accredited as fully satisfying the educational base for an Incorporated Engineer (IEng), and partially satisfying the educational base for Chartered Engineer status (CEng). A course of accredited “Further Learning” will be required to complete the educational base for CEng. Accreditation by the JBM also means that the Architectural Engineering programmes are also EUR-ACE labelled. This means that they also meet the framework standards and guidelines of EUR-ACE (EURopean ACcredited Engineer) and that the accreditation is recognized in Europe and beyond. Architectural Engineering students attend a residential surveying field course in Year 1 – this is a compulsory part of the architectural engineering programme – there are no additional fees to pay for this field course. In Year 2 you’ll consolidate your technical knowledge of structural design and analysis, materials, water engineering, geotechnics and building physics. You’ll also develop a more academic approach to architectural history & theory, which is delivered in collaboration with the School of Fine Art, History of Art & Cultural Studies. As with the first year, the design studio is the core through which you develop your learning in architectural engineering design projects. You’ll enhance your engineering knowledge in structures, geotechnics, materials and building physics and demonstrate an integrated understanding of creative and technical building design in your 3rd year design studio work (typically a multi-storey office building design). You’ll also select two additional modules from a list of options to help you to broaden your studies. If you take the MEng, BEng course, your final year will be focused on the design studio. Your design projects will involve concept and detailed design of a complex building with a strong community focus. In semester 1 you will consider two alternative (and quite different) sites and your design work will be linked to research-focused modules in architectural history & theory and building physics. When undertaking your design studio work you’ll also learn more about structures, geotechnics, and the context of the construction industry in management, practice and law. In Semester 2, you’ll concentrate on a sophisticated building design project where significant parts of the brief, development and execution are largely set by you. Your project will demonstrate a fully integrated architectural design including structures and building services, to a high standard of visual communication skills. As part of this work you will use structural and dynamic thermal modelling software to help you to develop your final detailed design proposals. Find out more about the project work you will get involved in. Studio based learning is at the heart of the architectural engineering student experience, with open-ended and creative architectural engineering design projects used to demonstrate and develop the knowledge you gain in other modules. The course is centred in a new studio space designed to host lectures, tutorials and personal study. In the studio environment, you will benefit from learning from your peers, the academic teaching team and design tutors from practice. Laboratory classes and industry sponsored fieldwork also allow you to gain hands-on experience investigating and applying the knowledge and understanding you gain from your lectures and tutorials to real life work situations. A major feature of the architectural engineering programme is the extensive use of small-group tutorials, in which you will receive advice and guidance from building services, structural and architectural specialists with further input from practising engineers and architects. Much of the course is delivered by a dedicated teaching team within the school, comprised of professionally qualified and experienced engineers and architects, supported by practice-based architects who are part of the studio tutoring team. 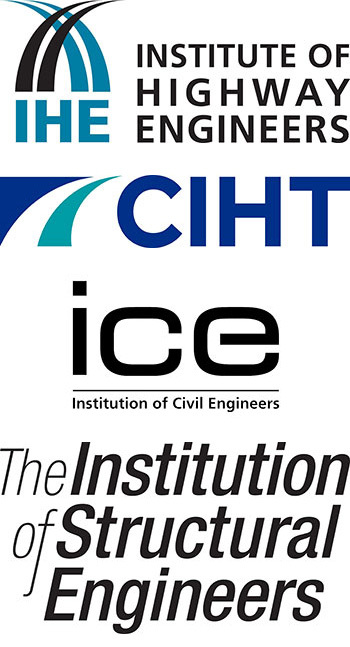 You’ll also benefit from the range of scientific and technical expertise provided by the School of Civil Engineering. Our close links with industry also mean that you have direct contact with industry and potential employers from an early stage in your course. In your first year you will be allocated an industrial tutor who will provide you with opportunities to visit construction sites and design offices. All our courses are supported by world-leading blended learning technology, using online resources to help you develop your knowledge at your own pace. Our state of the art lecture recording system ensures that many of your lectures will be available for you to review. Our learning and teaching resources will equip you with in-depth knowledge and key practical skills that will put you in an ideal position to compete in science and technology-related careers. You will be assessed both through written examinations, held at the end of each year, and through various types of coursework including design exercises, reports, scale models of your proposed building designs, presentation boards, oral presentations, drawings and design reviews. Architectural engineering graduates are in great demand from multi-disciplinary consultancies specialising in building design and contractors engaged in building construction and project management. Typically, the majority of graduates each year secure professional or managerial positions as graduate structural, civil or building services engineers, design engineers, architectural engineers or with architectural consultants. Recent employers include: ARUP, Buro Happold, Ramboll, Eckersley O’Callaghan, Elliot Wood Partnership, Price and Myers, Morgan Sindall, Mott Macdonald, Laing O’Rourke, Balfour Beatty, AKT, CH2M Hill, Atkins, AECOM, Curtins, Hoare Lea, Atelier 10, the Structure Workshop and Morph Structures. MEng, BEng Architectural Engineering students can study at one of three specially selected universities in the USA: Drexel University, the University of Kansas or the University of Nebraska-Omaha. This year is integrated with your Leeds study programme and, as a result, you will not be required to undertake an additional (5th) year of study.